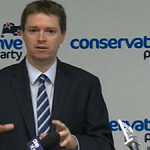 Conservative Leader Colin Craig may be in the news regularly over recent months, but his lack of a consistent message and ability to get it through is getting him into trouble. We always tell our media training clients that they need a strong three-point media message ready whenever they face the media. This is not to say they don’t answer media questions, but it’s something they keep referring back to. Not only does this let people know what they stand for, but it also keeps them out of trouble. Colin Craig never seems to have a consistent message. For example, when asked this week about whether he thought the white vapour from planes was a chemical spray used for top secret reasons, he said he didn’t know, but wouldn’t rule it out. That became the headline. From a media training perspective, this sort of answer is why some people call him nutty or a crazy man. What he should have said was: “I don’t think so” and then follow that up with a transitional statement like, “the point I really want to make is,” followed by a catchy sound bite based on a key point he wanted to get through. By using catchy language, the media are bound to use what he says and forget about the vapour spray issue. This is a skill he has not grasped. He could learn from John Key or David Cunliffe. Some may say they like Craig because of his genuineness, and this is a good trait to have. But he can maintain that and also get his message through. Key is a master at this. He needs to be more pro-active, rather than reactive. He needs to know that media will only be looking for one issue, or one quote per story. That means anything he says could become that story. He needs to know how to influence that decision. That’s why media training would be a good idea for him. It’s not that he is a bad speaker. It’s just that he needs to know how a conversation with a journalist is totally different from anything else. He needs to know how to both satisfy the media and get his points through.